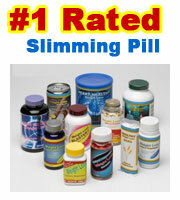 Lipofuze is remarkably similar both in product, official website and promotion technique to several other USA focused slimming pills. Lipofuze is rather typical of a clutch of slimming pills that are produced by American companies – cobble some ingredients together and tout it as the revolutionary new slimming pill. The official website claims that 10lbs can be lost in 10 days or get a refund. 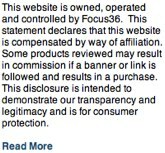 I wonder if anyone has ever tried to to claim a refund. 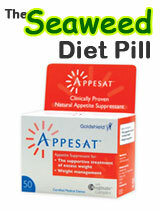 The official website also takes a side swipe at Alli – describing it as a “faulty diet” with dangerous side effects. Alli is produced by GlaxoSmithKline and has FDA approval – whereby Lipofuze does not appear to have any kind of clinical data or scientific evidence surrounding it. Lipofuze is basically just a fat burner – the ingredient list does not look spectacular or unique. Also included is green tea – green tea is a powerful fat burner, but there is no explanation as to which particular green tea is included. The most positive that can be said about Lipofuze is that is unlikely to result in any severe side effects. However, fat burner can have a tendency to cause a jittery feeling, sickness and mild headaches. Not a slimming pill to put your trust in. 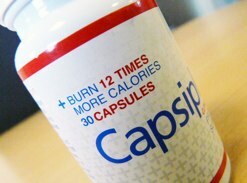 Its difficult to ignore the impact that Capsiplex has made on the slimming pill industry – the creation of private industry and formulated by Scottish based Advanced Health, Capsiplex is arguably the best selling fat burner in the UK. Employing capsicum as a main ingredient and with a massive celebrity following, Capsiplex is definitely one for the shortlist.